The primary purpose of an interview is for an employer to measure how well you will fit into the organization. An interview also provides the interviewer an opportunity to see how well he or she can work with the candidate. In lateral hiring, it is a reasonable assumption that if you get called for an interview, the employer already has good reason to believe that you have the necessary skills and experience to perform the job. While questions will arise during the interview that help clarify your experience, what is most important at an interview is the non-verbal communication that occurs and rapport that is established. Realize that you are probably starting from scratch with each person that you meet--i.e. more often than not, the interviewers will not talk to each other until after they have all met you. Don't bad mouth your current employer. Nobody wants to hire a disgruntled attorney and saying negative things about your current employer raises the inference that you would not hesitate to do the same if you were hired by this employer and things were not working out. Send a short thank you note to everyone you spoke with right after the meeting even if the meeting was arranged by a head hunter. Underscore your best selling points. A good interviewer will try to make you feel comfortable at the beginning of the interview by discussing neutral topics and by making you feel welcome ("Is it still raining outside?" "Did you have trouble finding us?" "Can I get you something to drink?") But the truth is that many professionals do not have good interviewing skills and may actually feel as insecure as you. Don't be surprised if you have little opportunity to get a word in or if the questions that the interviewer asks seem trite ("Why did you decide to go to law school?"). Adapt your communication style to theirs and be responsive. If they seem to like short focused answers, give those short focused answers. If they seem to like the questions that you are asking, keep asking questions. In short, try to make them feel comfortable if they do not seem to be able to make you feel comfortable. Finally, show a lot of interest in the firm/job. You will have many chances to decide that you do not want to make the move. Articulating ambivalence at an interview is a good way to insure that you will not be invited back and may even be insulting to the interviewer. Tell me about yourself. Comment: this question is intended to break the ice. Be careful not to ramble and try to mention something about your professional life that is relevant to the job in question. It is also nice to include some personal information. Stay away from potentially inflammatory or controversial topics like politics or religion. Why did you to law school? Comment: even if you are 20 years out of law school, you should still have a good answer for this (just in case). Why do you want to leave your current job? 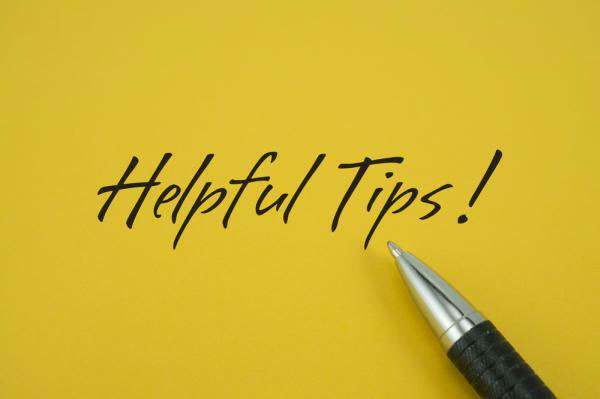 Tip: focus on why the current position sounds attractive and avoid negative statements about your current or past employer. Describe a difficult transaction you were involved with. What was the difficulty and how did you handle it? Why do you want to work for us? Comments: employers like to hire individuals who are excited about the company or firm-- not employees who are disgruntled and unhappy at their current workplace. On the other hand, you may not yet know enough about the position to answer this question. You might want to get more clarification from the interviewer before you start. What are the responsibilities of your current position? Comment: if you don't know what the responsibilities are for the job in question, you might want to get some clarification. This way, you can tailor your answer to demonstrate that you have the necessary skills. Dealing with a difficult client is something we all go through as lawyers. Can you describe a recent situation where you had to deal with a difficult client? What steps did you take to address the situation? What are your greatest accomplishments? Tip: stick to professional accomplishments. Name your favorite attorney and what you admire about this individual. Tell me about a time when he disagreed with your supervising attorney. What was the nature of the disagreement and what did you do about it? Tip: stay away from saying anything negative about your former boss. What would your clients say about you? Your boss? Your assistant? Describe a situation where you were faced with conflicting priorities. How did you determine what was important and the order in which you would get each task done? Aren't you overqualified for this position? Tip: if you are, don't try to hide this fact. Instead, give a logical reason why you are still interested. Do you have any experience doing "x" [where "x" is something you do not have experience doing]? Tip: demonstrate how you have done things that are like "x". Things can get pretty busy around here. Can you to be an example of how you are able to cope with setting priorities in another setting?